I’ve been working for some time on picking apart the many processes which make up what we call data journalism. Indeed, if you read the chapter on data journalism (blogged draft) in my Online Journalism Handbook, or seen me speak on the subject, you’ll have seen my previous diagram that tries to explain those processes. I’ve now revised that considerably, and what I’ve come up with bears some explanation. 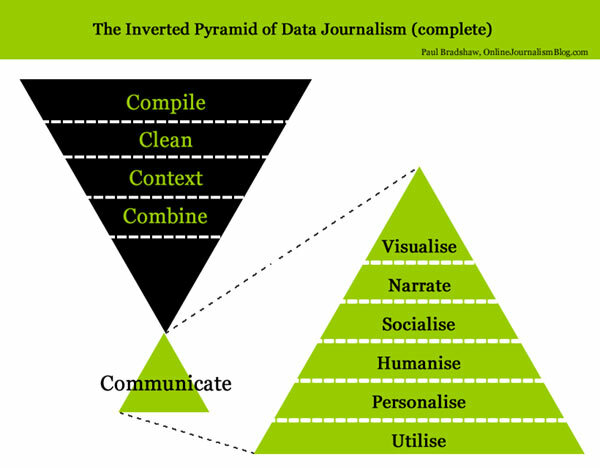 I’ve cheekily called it the inverted pyramid of data journalism, partly because it begins with a large amount of information which becomes increasingly focused as you drill down into it until you reach the point of communicating the results. What’s more, I’ve also sketched out a second diagram that breaks down how data journalism stories are communicated – an area which I think has so far not been very widely explored. But that’s for a future post. 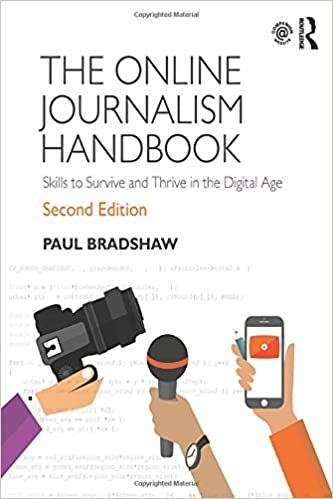 I’m hoping this will be helpful to those trying to get to grips with data, whether as journalists, developers or designers. This is, as always, work in progress so let me know if you think I’ve missed anything or if things might be better explained. Data journalism begins in one of two ways: either you have a question that needs data, or a dataset that needs questioning. Whichever it is, the compilation of data is what defines it as an act of data journalism. or by collecting the data yourself through observation, surveys, online forms or crowdsourcing. This compilation stage is the most important – not only because everything else rests on that, but because it is probably the stage that is returned to the most – at each of the subsequent stages – cleaning, contextualising, combining and communicating – it may be that you need to compile further information. Having data is just the beginning. Being confident in the stories hidden within it means being able to trust the quality of the data – and that means cleaning it. Cleaning typically takes two forms: removing human error; and converting the data into a format that is consistent with other data you are using. For example, datasets will often include some or all of the following: duplicate entries; empty entries; the use of default values to save time or where no information was held; incorrect formatting (e.g. words instead of numbers); corrupted entries or entries with HTML code; multiple names for the same thing (e.g. BBC and B.B.C. and British Broadcasting Corporation); and missing data (e.g. constituency). You can probably suggest others. There are simple ways to clean up data in Excel or Google Docs such as find and replace, sorting to find unusually high, low, or empty entries, and using filters so that only duplicate entries (i.e. those where a piece of data occurs more than once) are shown. Google Refine adds a lot more power: its ‘common transforms’ function will, for example, convert all entries to lowercase, uppercase or titlecase. It can remove HTML, remove spaces before and after entries (which you can’t see but which computers will see as different to the same data without a space), remove double spaces, join and split cells, and format them consistently. It will also ‘cluster’ entries and allow you to merge those which should be the same. Note: this will work for BBC and B.B.C. but not BBC and British Broadcasting Corporation, so some manual intervention is often needed. Like any source, data cannot always be trusted. It comes with its own histories, biases, and objectives. So like any source, you need to ask questions of it: who gathered it, when, and for what purpose? How was it gathered? (The methodology). What exactly do they mean by that? You will also need to understand jargon, such as codes that represent categories, classifications or locations, and specialist terminology. All the above will most likely lead you to compile further data. For example, knowing the number of crimes in a city is interesting, but only becomes meaningful when you contextualise that alongside the population, or the numbers of police, or the levels of crime 5 years ago, or perceptions of crime, or levels of unemployment, and so on. Statistical literacy is a must here – or at least show your work to someone who has read Ben Goldacre’s book. Having a clear question at the start of the whole process, by the way, helps ensure you don’t lose your focus at this point, or miss an interesting angle. Good stories can be found in a single dataset, but often you will need to combine two together. After all, given the choice between a single-source story and a multiple-source one, which would you prefer? The classic combination is the maps mashup: taking one dataset and combining it with map data to provide an instant visualisation of how something is distributed in space: where are the cuts hitting hardest? Which schools are performing best? What are the most talked-about topics around the world on Twitter right now? This is so common (largely because the Google Maps API was one of the first journalistically useful APIs) it has almost become a cliche. But still, cliches are often – if not always – effective. A more mundane combination is to combine two or more datasets with a common data point. That might be a politican’s name, for example, or a school, or a location. This often means ensuring that the particular data point is formatted in the same name across each dataset. In one, for example, the first and last names might have separate columns, but not in the other (you can concatenate or split cells to solve this). Or you might have local authority names in one, but local authority codes in another (find another dataset that has both together and use a tool like Google Fusion Tables to merge them). One might use latitude and longitude; another postcodes, or easting and northing (a postcodes API and Google Refine can help). But once you’ve got them formatted right, you may find some interesting stories or leads for further questions to ask. In data journalism the all-too-obvious thing to do at this point is to visualise the results – on a map, in a chart, an infographic, or an animation. But there’s a lot more here to consider – from the classic narrative, to news apps, case studies and personalisation. In fact there’s so much in this stage alone that I’ve written a separate post (diagram below). Meanwhile, comments very much welcome. This entry was posted in online journalism and tagged fusion tables, google refine, inverted pyramid, outwit hub, scraperwiki on July 7, 2011 by Paul Bradshaw. the hottest trends in luxury fashion. Vacheron Constantin tour de L’Ile, $1. Reblogged this on Steffi S. Lee. Site Builder. It’s a good idea to have separate email promotions for prospects and customers, too, because you typically need to send different information to the different groups. Html form builder renders efficient service to online business companies to create any sort of online form to integrate it into their website and receive incoming information from online visitors. Descubriendo el periodismo de datos. La Internet es una galaxia de información inimaginable. Mark, that link gave me a “Page not found” message also. Good description – and the first times I did, I was stunned how much effort all stages take, and how often I had to go back, pull or recalculate because the combination of datasets was not possible due to different scales, dates, definitions. Definitions of what is behind a category in a dataset vs. another one is most treacherous. I realize the love of journalists with the inverted pyramid (why invert?) but would not be a loop / circle more adequate to show the iterations one has likely to go through? I disagree. Your chart is just about collecting, cleaning, aggregating, summarizing, and visualizing data. I believe data-driven journalism is about making a point using data as an argument. However, usually data needs to be augmented by further assumptions and theoretical knowledge. This is where modeling comes into the picture. So your inverted pyramid shows some skills that are helpful when working with data, but that is only the tip of the iceberg. Understanding and describing the process that generates the data is the true art. 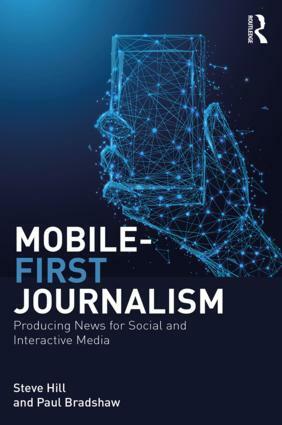 You’ve written about revising the inverted pyramid structure for data journalism but what about other types of journalism? Does it still work for online journalism articles for example? Will there be another news structure developed for news stories? Particularly as there is more space for journalists to write an article online. I am interested because I am a final year Communications and Media student at Bournemouth University writing a news feature about ‘the relevance of the inverted pyramid today’ and the way news organisations structure their news stories. I would like to know more about your thoughts on the topic. My email address is jennifer.palmer@live.co.uk.